Dubstep is a genre of electronic dance music that originated in South London. 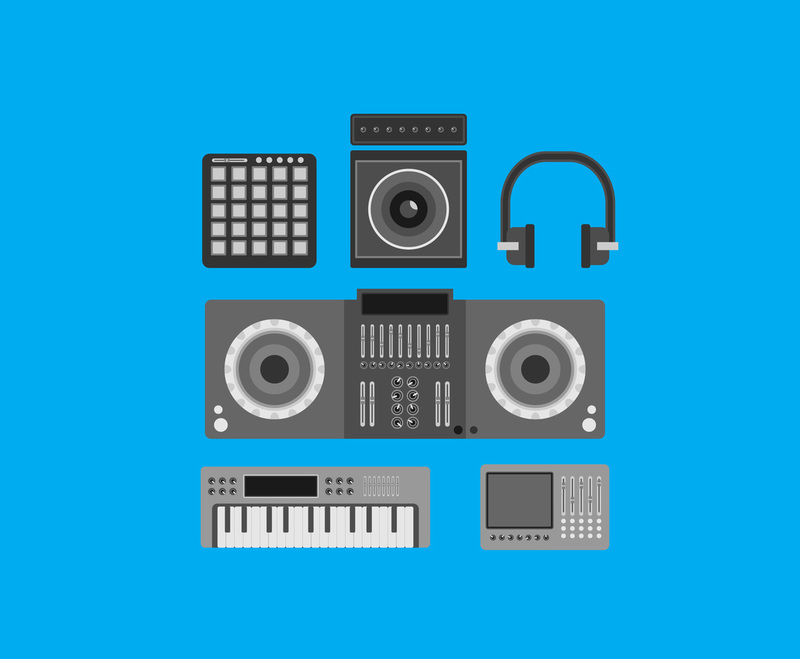 The music equipment usually will be synthesizer, midi, music sequencer, speakers, headset and you can find the illustration in this free vector set. It will be perfect as design element in DJ performance poster or electronic music event in your town.